GENEVA, Switzerland, April 14, 2017 (ENS) – Clean, accessible drinking water is essential for life, and the United Nations says there is enough fresh water on the planet to supply this for everyone. But today, the World Health Organization warned that of the 7.5 billion people living on Earth, more than one in every four is drinking dirty water. “Today, almost two billion people use a source of drinking-water contaminated with feces, putting them at risk of contracting cholera, dysentery, typhoid and polio,” said Dr. Maria Neira, WHO director, Department of Public Health, Environmental and Social Determinants of Health. “Contaminated drinking-water is estimated to cause more than 500,000 diarrheal deaths each year and is a major factor in several neglected tropical diseases, including intestinal worms, schistosomiasis, and trachoma,” Neira warned. 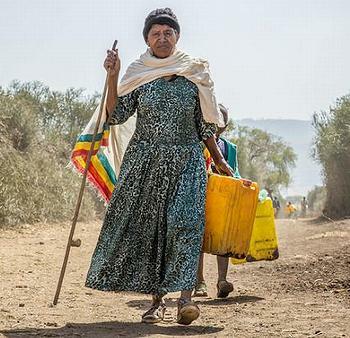 Fatuma Abdullah of Ethiopia gets her water from a new pump installed in 2016, but it was not put in until after her son became ill from drinking contaminated water. Abdullah told UNICEF that her seven year old son, Anwar, had stomach pains so severe after drinking dirty water that he asked his mother to tie his stomach to try and stop them. Just 17 months ago, world governments at the UN General Assembly unanimously adopted a set of 17 goals to end poverty, protect the planet, and ensure prosperity for all by 2030 as part of a new sustainable development agenda. These goals were ratified at the September 25-27, 2015 United Nations summit. Yet thousands of people are dying every day from drinking dirty water. 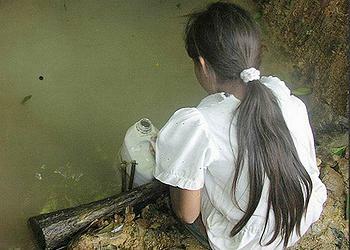 Some countries are doing more to supply clean water, such as Bangladesh, Peru, Lesotho, Bhutan and Pakistan. But other countries are struggling, such as Kenya, South Africa, and Madagascar.